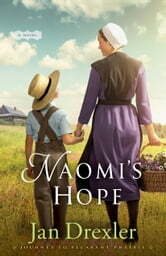 In 1846 Naomi Schrock is a good Amish woman who has adopted young Davey a few years ago, after her family came upon him after his family had been killed. She is a single woman who still lives at home with her family, but everyone agrees that Davey belongs to her. Cap Stoltzfus moves into their area and begins building his home and farm, Davey ventures over and makes friends with Cap and naturally Naomi and Cap start a blossoming friendship as well. The path between the two farms becomes well worn as invitations come for dinners and picnics. Naomi thinks no one will want to marry her because she adopted Davey as a single woman, but she will not give up her beloved Davey. But she is beginning to have stronger feelings for Cap. Cap is having romantic feelings for Naomi, fatherly feelings for Davey-but he thinks that Naomi isn't parenting Davey properly and is outspoken about it. This leads to hurt feelings and harsh words between Cap and Naomi. Will they ever get past this? Preacher Shem Fischer moves into the area, he has heard that the district needs more preachers in the area. He has come from Ontario. His wife is there with her parents, she was to sick to come. Shem will find a place for them and then she will follow after, when she feels better. Cap went to school with Shem. He remembers the taunts and bullying from Shem and wonders if the Lord has worked a miracle with Shem or if Shem is still the same old Shem. This is a great book, it gets you to thinking about many different things. The characters are highly developed. Many different characters, several different sidelines going off to make the book even more interesting. I received a copy of this book in exchange for my honest review.